Looking for the perfect dressy sandal? These High Heel sandals have the right amount of bling and still give you the classy glam look. Cushioned insole for walking comfort. 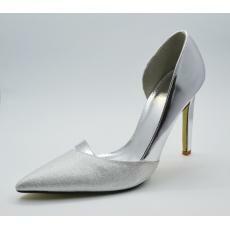 Pair them with a formal outfit and you will be shinning all night long!